The Fleurete of Musketeer of Queen Anne of Austria is a great French replica. Queen Anne of Austria was the wife of Louis XIII King of France from 1610-1643. This replica is antique silver and includes a beautiful scabbard. 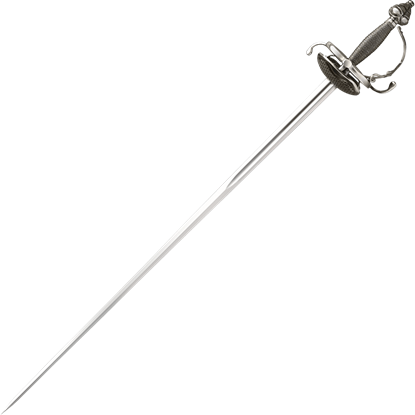 The musket, though the prime weapon of the French Musketeers, was a cumbersome firearm, both to load and fire, so a good rapier was a necessary second weapon that no musketeer was likely ever without. Ancient art figures and swirled cut-outs embellish this cup hilt sword. This Italian made full size decorator sword features cast metal handle and an antique brass finish. The blade has intricate engraved designs stamped into it. 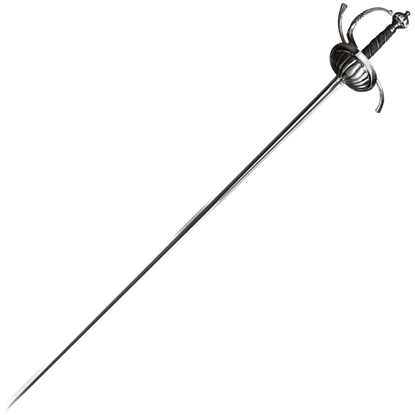 The colichemarde was designed as something of a middle-ground weapon. 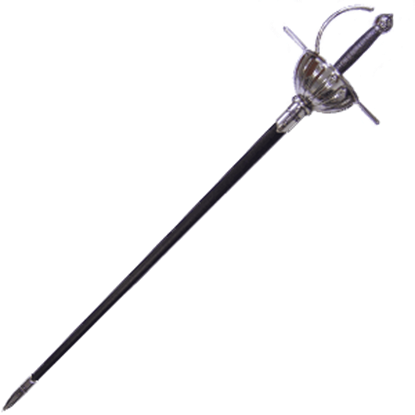 It featured a small blade for a more nimble attack, but sacrificed nothing in terms of parrying ability. This Ornate Renaissance Colichemarde also has a fine look. 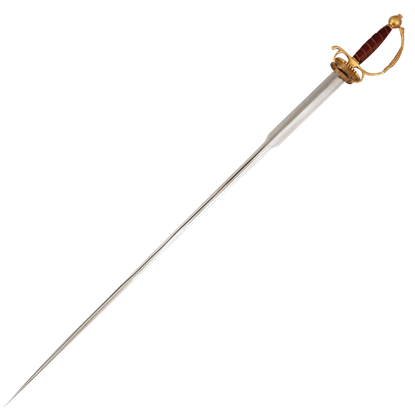 Throughout history, the sword has undergone much change. 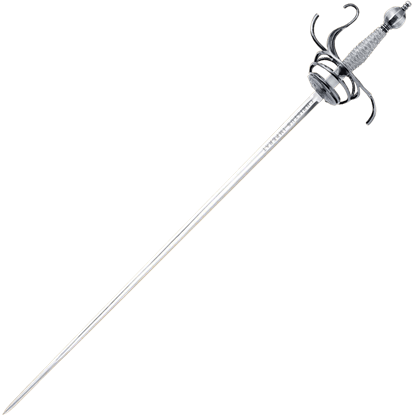 In the renaissance, it slimmed to the rapier, and then continued to grow smaller, favoring lightness and speed over power. 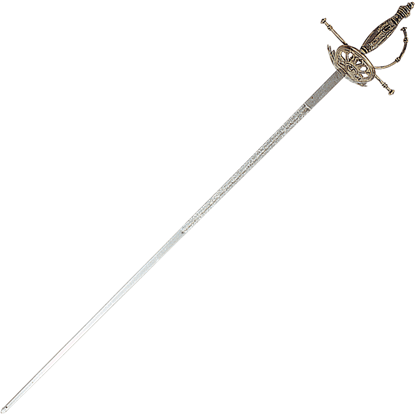 This Ornate Renaissance Smallsword is an example of that. 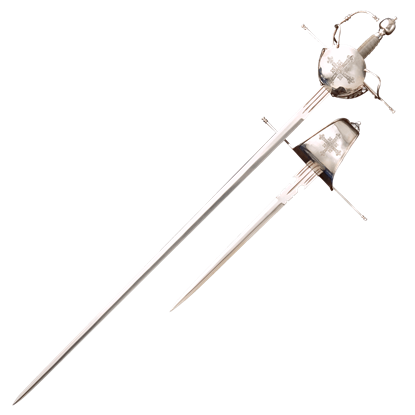 The rapier was a popular weapon across all of Europe during the 16th and 17th centuries, and each area had its own design. 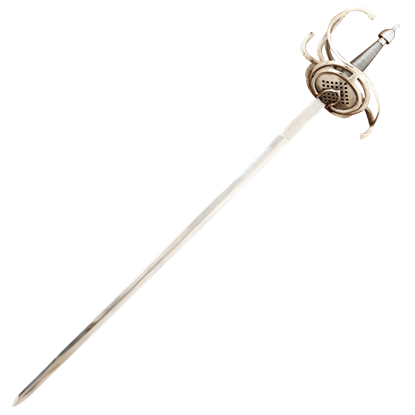 This Pappenheimer Hilt Rapier, for instance, is a reproduction of a sword that is based out of Germany. 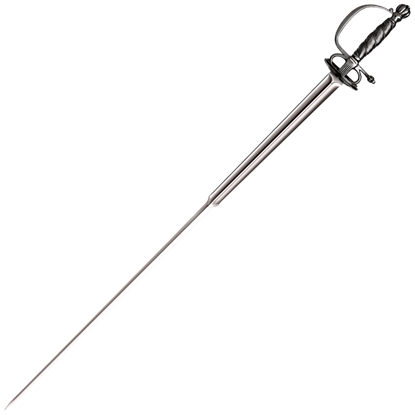 Beautifully polished and with a single, wide fuller at the forte, the Ribbed Shell Swept Hilt Rapier is a dueling weapon with perfect balance to its long, narrow blade. 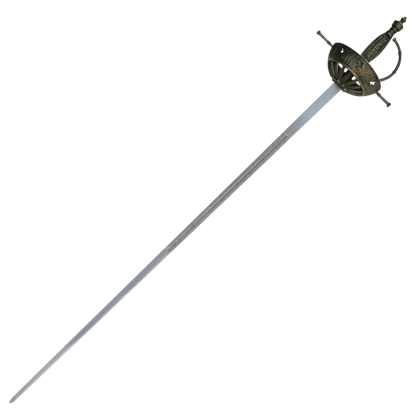 Its distinctive hilt is made of high quality stainless steel. The advantage of the sword point over the edge became increasingly evident by the end of the 16th century. 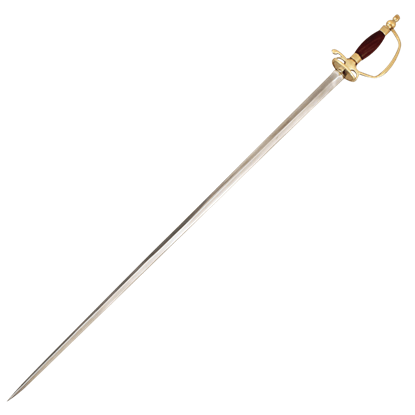 The Small Sword is a rapier, with its thin profile and emphasized point, based on the popular choice in civilian self-defense.